It is the time of year for the changing of the leaves, pumpkin picking, Halloween, sweater weather, football, and pumpkin spice lattes. October is the heart of autumn and as soon as it hits October 1, people slip on their boots and grab their coziest sweater. What should they do next? 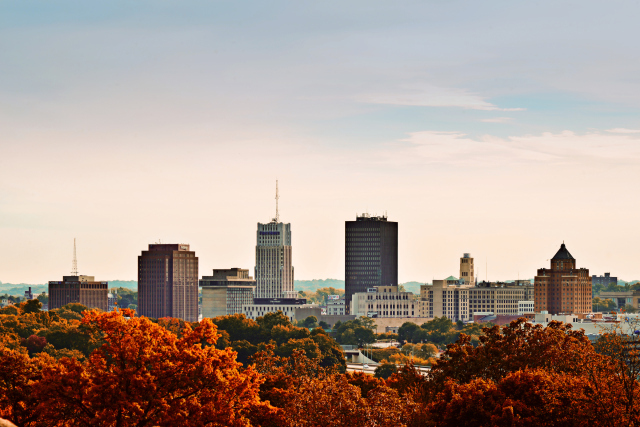 Head to Downtown Akron to participate in many fun fall activities for people of all ages. The Akron Zoo hosts Boo at the Zoo, an event where children and their families are encouraged to put on their favorite costume and explore the zoo. Children will be given a candy passport, which will lead them to different treat stations throughout the zoo. Are you ready for some football? I sure am! Football is my favorite sport and I love sitting in front of my TV on football Sundays. However, on Saturdays I love going to Infocision Stadium and cheering on the Akron Zips. The Zips always have pre-game celebrations and other activities that keep the games lively and entertaining. The feeling of being part of a spirited university is one of a kind. You can attend the Akron Zips football games on October 8 and 15. One of my favorite fall activities is to go to the pumpkin patch to pick my own pumpkin, drink lots of apple cider, and to explore a farm and all of the fall activities it has to offer. The Cuyahoga Scenic Valley Railroad will turn into the Pumpkin Express on October 22 and 23. The train will depart Northside Station at 10:50 a.m. and take you to the Peninsula Station, where you will be transported by bus to Heritage Farms. You will be able to walk through the pumpkin patch and participate in fall activities. Put on your Halloween costume and get ready to run! The Akron Area YMCA is hosting the 5k Jack-O-Lantern Jog which will take place on Friday, October 28 at 5 p.m. Immediately after the race there will be costume judging, children’s activities, and a family Trick-r-Treat. All proceeds will benefit Akron Area YMCA Annual Campaign. Grab your mask, elegant attire, and prepare to be a guest of Prince Prospero’s Masquerade Party, an interactive show experience. 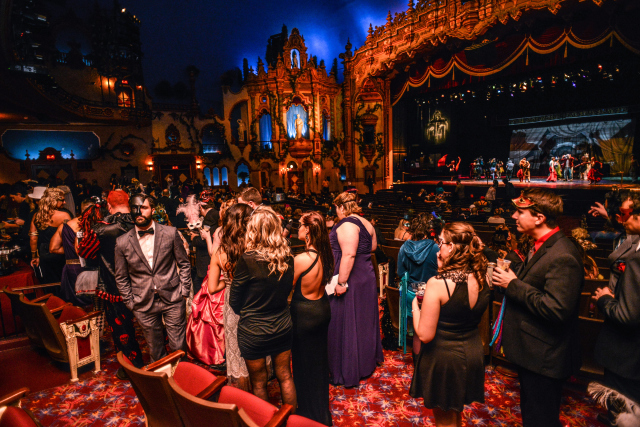 Akron Civic Theatre will host the Masque of the Red Death Halloween Ball on Saturday, October 29 at 8 p.m. The event will feature live music, dancing, light hors d’oeuvres, and specialty cocktail drinks. The Akron-Summit County Public Library is in the Halloween spirit with two events that are geared towards kids,teens, and their families. The Halloween Glow Celebration on October 22 is a glow-in-the-dark Halloween celebration for teens aged 11-17. The Halloween Spooktacular on October 29 allows kids and their families to dress up in their “spookiest” costumes and enjoy Halloween stories and activities. These are just a few of the activities Downtown Akron has to offer this season. Check out our website at www.downtownakron.com for a full list of events happening this month. Happy Fall!